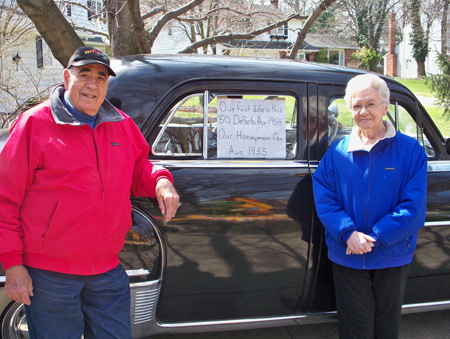 Ron and Betty Manolio went on their first date in 1954 in a 1950 black DeSoto. The next year in August they used the same car to go on their honeymoon. 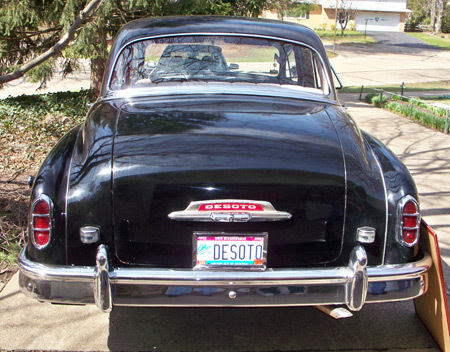 They still drive this 60 year old car with the "DESOTO" license tag. 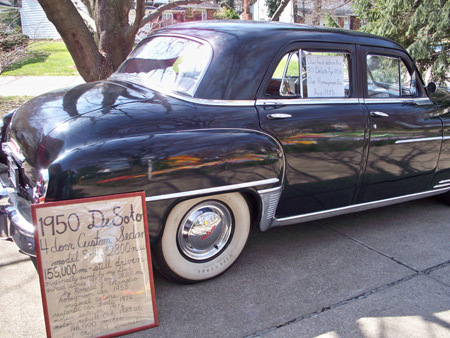 As interesting as this old car may be, that's not the Manolio's claim to fame. 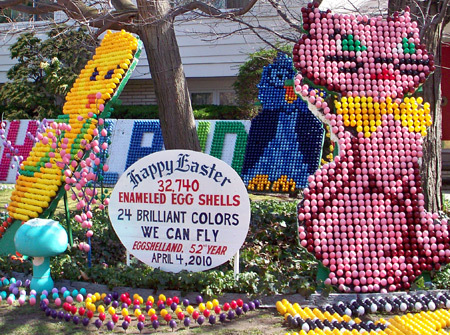 It is their yearly tribute to Easter that the couple is most known for. 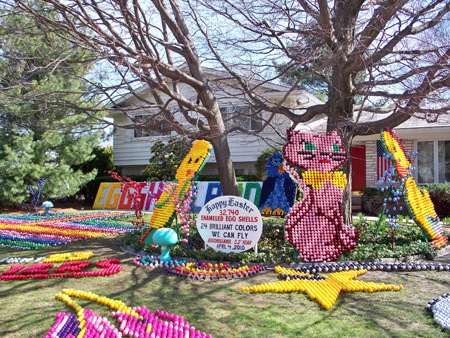 They have colored close to a million Easter eggs since they first started back in 1957. 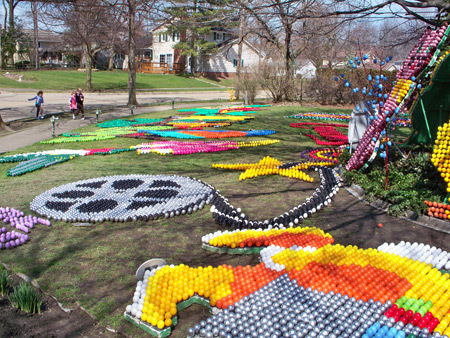 At that time they lived in Mayfield Heights and put up a display of 750 beautifully colored eggs in the very first Eggshelland. By the next year the display grew to 1700. And it hasn't stopped growing since. 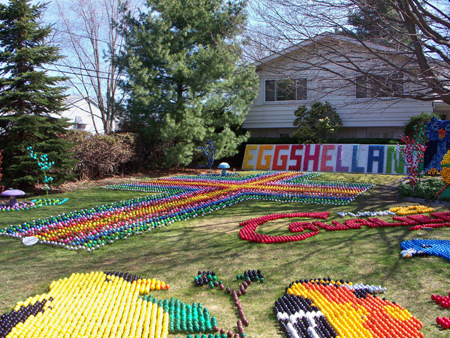 Eggshelland now decorates their lawn on Linden Lane in Lyndhurst. 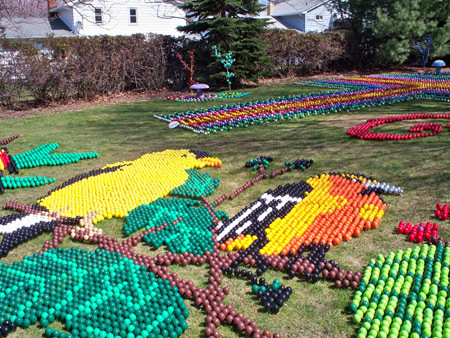 This year's display had nearly 40,000 eggs brightly painted in gorgeous colors and put together like a mosaic. Betty is the artist and Ron is the painter. Betty decides what the scene will look like and sketches it on grid paper. Then Ron steps in. 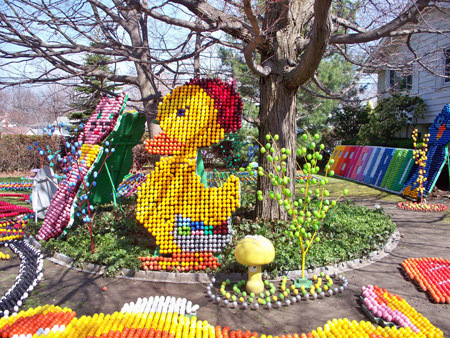 He counts the number of eggs needed for each color and gets to work. 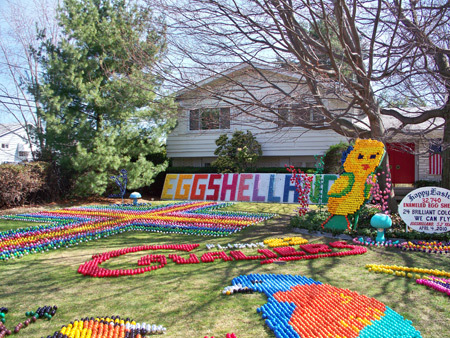 Every year they lose about 1500 eggs to weather. Last year was one of three when there were catastrophic losses. "Hail is a bad word to us" and last year there was a huge hail storm. Ron and Betty have a wonderful attitude and knew that meant they would just have to make more. This year's theme is "We can Fly" and has beautiful Northeastern Ohio birds as a focal point including an oriole, goldfinch, hummingbird and even a scarlet tanager. Betty had been given a bird book and decided to put it to good use. There is also homage to the Cleveland Cavaliers "they're flying this year too!" There is always a large cross included in the display because "after all, that's the reason for Easter." They start plans for the Easter display on January 1st and look to have it up for Palm Sunday, the week before Easter and the day Christians believe Jesus rode into Jerusalem and Holy Week begins. The eggs from the year before are stored in cardboard boxes. There are 250 in a box and they are, of course, sorted by color. It is Ron's job to do the math and decide how many of each will be needed for Betty's creation. 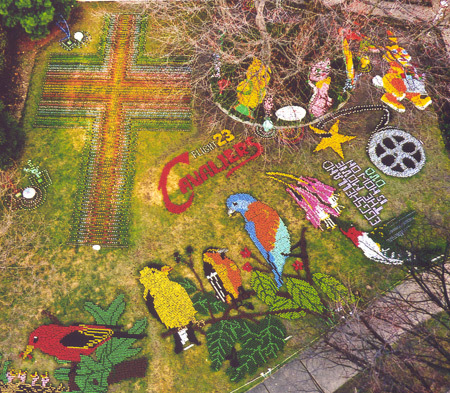 The Lyndhurst Fire Department takes Ron up in the high ladder each year so he can see the creation from an aerial view and take some wonderful pictures. These are two lovely people whose eyes brighten every time a child oohs and ahhs over the scene. Which is not to say adults don't ooh and ahh themselves. It is, after all, a spectacular site of beautiful colors and pictures and it is all done for nothing but a smile in return.